Most ISVs continue to use manual processes in delivering software which is tedious and costly. It only hampers the code quality and time to market. 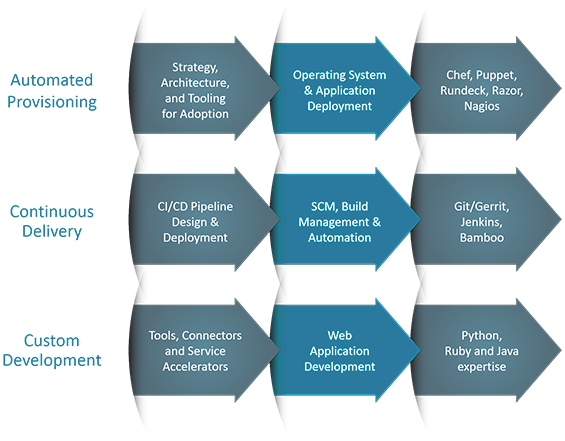 MSys is an experienced DevOps service provider for ISVs with critical expertise in industry-leading DevOps tools such as Chef, Puppet, Jenkins, Vagrant, Packer, etc. 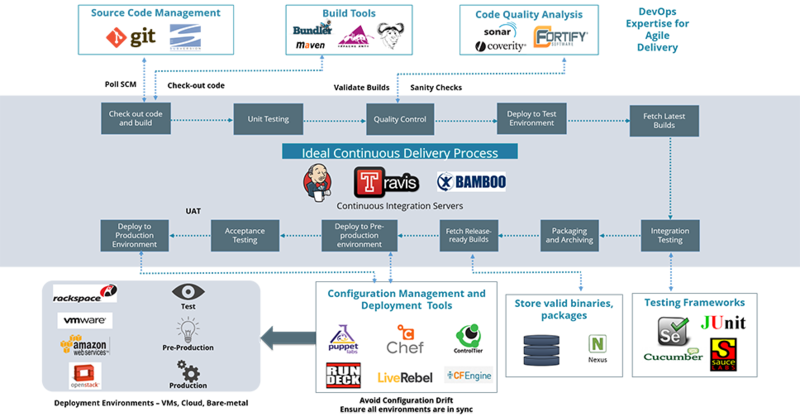 CI or Continuous Integration won its battle over long and tense manual software system integration quite long back. Keeping with the trend, MSys follows a stringent CI practice for all the DevOps projects allowing teams to spend less time debugging and more time developing new features. The exhibit explains various stages that are accomplished across a typical CI and delivery process. end to end solutions and ecosystem built around containers. Building ecosystem around Docker containers using configuration management tools such as Ansible, Chef, Puppet etc. Product development support for making service container ready with Microservice architecture. Cloud Integration for containers and supplementary tool chain. Develop ecosystem and workflows around EC2 Container service. MSys leverages Kubernetes and Docker, powered by Automation to cut application release time for client by half. This brochure provides an overview of DevOps (Development+Operations) and how it can be a paradigm shift for most ISVs. This white paper deals with how DevOps and cloud help organizations to achieve great levels of business agility.